Louis Theroux documents some of the US's most bizarre happenings, events and rituals, by getting involved himself. Louis meets different people suffering from anorexia and sees how it impacts their family as well as their personal health. Louis Theroux traces the fortunes of different people living in South London suffering from alcoholism. Louis Theroux: [Q&A] Marty Rathburn called me "a rimless zero". I suppose that's even less than zero because without the rim it's just the nothingness in the middle. Adam Buxton: It sounds vaguely obscene, doesn't it? "Look at my rimless zero!" Ahem! In the shadow of Going Clear. People that know nothing about scientology will find this movie to be a little bit confusing, and people that know about scientology will find the movie a little bit boring. 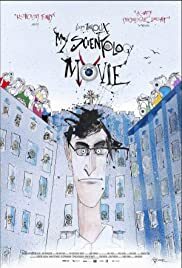 My Scientology Movie has some funny scenes and interesting moments, but in the end you don't get a really profound impression of what the "church" is all about. Alex Gibney's Going Clear does a way better job, tackling the same subject. Doing press for his film, Louis Theroux talked negatively about Alex Gibney's Going Clear, calling it a "talking heads" movie, and that My Scientology Movie used a more interesting approach. This is where Theroux is wrong, dead wrong. When you start talking about scientology, a thousand questions pop up, and those questions need to be answered. And that is where Going Clear prospers and My Scientology Movie ends up being a missed opportunity.